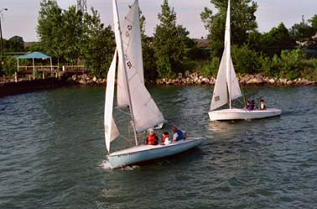 Check out our long history, our current activities, and our Learn To Sail classes. Interested in joining? Click on Member Signup / Information. Contact Us with any questions, comments, or suggestions. This is the official website of the Detroit Boat Club, the oldest boat club in the United States and the oldest social club in Michigan. Founded just two years after Michigan became a state, the DBC has been dedicated to boating in Detroit since 1839. In 2019, the Detroit Boat Club celebrates its 180th Anniversary. The DBC offers a variety of activities for boaters and non-boaters alike. It is known for its friendly members who share a passion for the Club and the commitment to be part of Detroit’s past as well as its future. Explore our website and discover a Detroit tradition! Contact Us to send an email to the club.